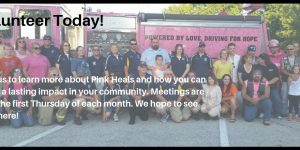 Our pink ambulance was dedicated in May 2016 after an amazing little girl named Alayna. Her cancer journey started on July 20th 2015 when Alayna was diagnosed with High Risk Acute Lymphoblastic Leukemia. On July 11th it was thought that she was coming down with a cold because a few family members were sick as well. She began to get purple spots and bruises on her body and was told it was because of her virus. Not thinking much of it until the next weekend, when she became very pale and had no appetite. Her pediatrician ran blood and found out her levels were very low. Alayna was then taken to Children’s Hospital in Milwaukee by ambulance. More tests were run to get a baseline of her levels and it was soon discovered that Alayna had High Risk Acute Lymphoblastic Leukemia. Alayna’s treatment consisted of 5 or 6 days a week of Chemotherapy through her port and daily oral chemo at home for the first 9 months. She received monthly lumbar punctures and chemo in her spine throughout the first year and a half of her treatment. She received her last port chemo on October 12th 2017 which was the same day her and her family flew back from her Make-A-Wish trip. 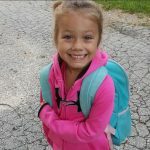 Alayna is doing great – she started kindergarten in Valders in fall of 2018 and absolutely loves it. She enjoys playing with her brother and is currently in her third year of dance class. 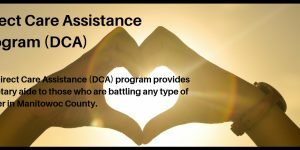 She has amazed the doctors in how far she has come with her treatment, and continues to do well! She visits her doctors at St. Vincent Children’s Hospital in Green Bay every other month and is always excited to see them.